The summer holidays took their toll on the pace of development of Belarus’s foreign relations. Over the last two months, foreign minister Vladimir Makei held only three meetings with his counterparts (from Slovenia, Egypt and Georgia). President Alexander Lukashenka’s state visit to India was late summer’s only highest-level diplomatic event. Some democratic governments are still willing to prop up the international legitimacy of the rubber-stamp Belarusian parliament. Polish MPs and Georgia’s senior official, for example, met with the handpicked ‘legislators’ to earn favours and concessions from the Belarusian authorities in return. On 12-13 September, Belarusian President Alexander Lukashenka paid a two-day state visit to India. This year, the two countries celebrated the 25th anniversary of their diplomatic ties. 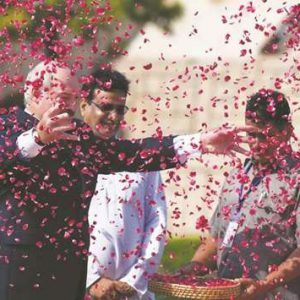 Lukashenka has been visiting India at ten-year intervals, with previous trips in 1997 and 2007. Belarus-India relations have clearly stagnated over the last decade, as Minsk placed its bets on India’s geopolitical rivals, China and Pakistan. However, the time may have come to restore the disrupted balance. In New Delhi, the Belarusian president held extensive talks with Prime Minister Narendra Modi and met with several other officials. Lukashenka and Modi reviewed the architecture of the India-Belarus partnership, seeking – according to Modi – ‘to evolve from a buyer-seller framework to deeper engagement, using the natural complementarity between the two countries’. The head of India’s government emphasised the ‘abundant business and investment opportunities in pharmaceuticals, oil and gas, and heavy machinery and equipment’. The Belarusian President, in turn, promised ‘the most favourable conditions for the functioning of [Indian] business’ in Belarus. He also proposed building an Indian hi-tech industrial park in the country modelled after the Chinese Great Stone Park. 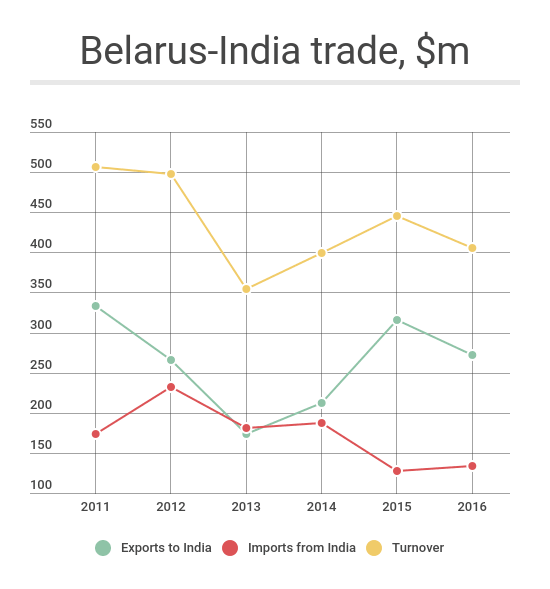 Despite being the world’s fastest-growing economy, India occupies a modest place among Belarus’s trading partners. In the 2010s, the bilateral trade turnover was generally bumpy. In January-July of this year, the trade figures showed neither negative nor positive dynamics compared to the same period of 2016. In New Delhi, the two countries signed ten bilateral documents to expand cooperation in a range of areas such as oil and gas, vocational education, sports, agriculture, and science and technology. Prime Minister Modi also revealed the two countries’ intention ‘to encourage joint development and manufacturing in the defence sector under the ‘Make in India’ programme’. The Belarusian side, meanwhile, remained more tight-lipped about this sphere of bilateral cooperation in its communications about the visit. Georgia’s foreign minister Mikheil Janelidze paid his first official visit to Belarus on 4-5 September. The two countries’ divergent geopolitical orientation has not hindered the fast-paced development of their ties in the spheres of economy, culture, tourism, and foreign policy. In January-July 2017, the bilateral trade turnover expanded by 28%, attaining $59m. However, the growth rate must increase dramatically if Belarus and Georgia still want to reach the goal of $200m per year which their leaders set in 2015. The key economic cooperation project is now the assembly of Belarusian lifts in Tbilisi. Belarus is also willing to sell its agricultural machinery to Georgia. ‘Georgia, with its regional transit functions and infrastructural and energy projects, may become increasingly interesting to Belarus’, foreign minister Vladimir Makei told his Georgian counterpart. In turn, Georgia is taking a keen interest in Belarus’s experience of developing its IT industry. Political relations between the two countries are flourishing as well: Belarus and Georgia are increasingly coordinating their foreign policy positions. In Minsk, Makei and Janelidze signed a programme of cooperation between the Georgian and the Belarusian foreign ministries for 2018-2019. ‘We have virtually no questions on which we disagree… The Georgians are our brothers’, Lukashenka told the Georgian official. Seeking to please his guest, the Belarusian leader even expressed his appreciation of the fact that the first human beings outside Africa lived in prehistoric Georgia. Tbilisi values Minsk’s support for Georgia’s sovereignty and territorial integrity. In return, it does not hesitate to take a separate road than other European countries in regard to problems with democracy in Belarus. Georgia was the only European nation to refuse to support the recent UN HRC resolution on the situation of human rights in Belarus. In Minsk, the top Georgian diplomat met with the leaders of both chambers of the Belarusian rubber stamp parliament, accommodating the Belarusian authorities’ plans to bolster their international recognition. They discussed preparations of the visit of Irakli Kobakhidze, the Speaker of the Georgian Parliament, to Belarus in November of this year. Is recognising parliament part of a barter deal? When it comes to recognition of Belarus’s puppet parliament, Poland remains the uncontested champion among European nations. 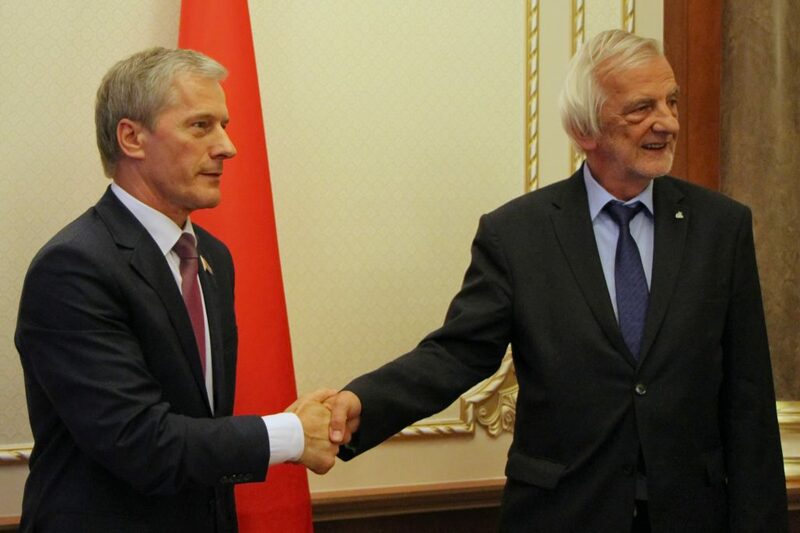 On 29-31 August, Ryszard Terlecki, vice-speaker of the Polish Sejm, led a team of Polish MPs and government officials on his second visit to Belarus. Tarlecki inaugurated high-level dialogue between European MPs and their Belarusian ‘colleagues’ in August 2016, thus de facto recognising them as peers, i.e. as a legitimate and viable parliament. Stanisław Karczewski, the Speaker of the Polish Senate, picked up the baton later in December. In early 2017, Belarusian legislators paid a return visit to Warsaw. Only the brutal treatment of peaceful protestors by the Belarusian authorities in March dissuaded Terlecki from coming to Minsk in April to see his friends in the Belarusian parliament. This time, Polish MPs held meetings in both chambers of the Belarusian legislature; they also called on Deputy Prime Minister Mikhail Rusy and deputy foreign minister Oleg Kravchenko. Terlecki and his colleagues also met with activists from the Polish minority in Belarus and Belarusian opposition leaders. ‘We are planning to do everything possible to make relations between our countries even stronger’, Ryszard Terlecki said during the visit. It can only be hoped that the Polish politician realises that his fellow MPs in Belarus have no say in this matter. Polish MPs may be attempting to trade recognition of Belarus’s legislature by an EU country’s parliament for a few concessions from the Belarusian executive branch. Tarlecki happened to mention certain priority concerns during his visit. Poland wants the Belarusian government to legitimise the unrecognised Union of Poles in Belarus, to facilitate education in the Polish language, to ease restrictions on Polish-born priests and to allow the broadcast of the TVP Polonia channel in Belarus. Polish MPs have also been lobbying for the interests of Polish business in the country. The Belarusian government has maintained dialogue with Polish officials for a few years. However, except for the noticeable advancement in trade and investment, Poland’s new policy in its relations with Belarus has brought no visible solutions to the key areas of concern. Similar patterns are observable in Belarus’s relations with other European partners. The European Union’s ‘critical engagement’ policy has contributed to attitude change by the Government of Belarus as well as procedural improvements. However, as the March 2017 crackdown on peaceful protesters suggests, there are no substantial political changes in Belarus. 2017. In the context of the Ukraine crisis, both Minsk and Brussels are fine with the gradual widening of contacts and dialogue. Although Russia has been reducing the level of its subsidies, it maintains a strategic stake. Minsk has a degree of independence regarding the Ukraine crisis, while its structural dependence on Russia also serves as a deterrence. Moscow provided a much-needed bailout this year in form of a loan as well as energy agreements favourable to Belarus. 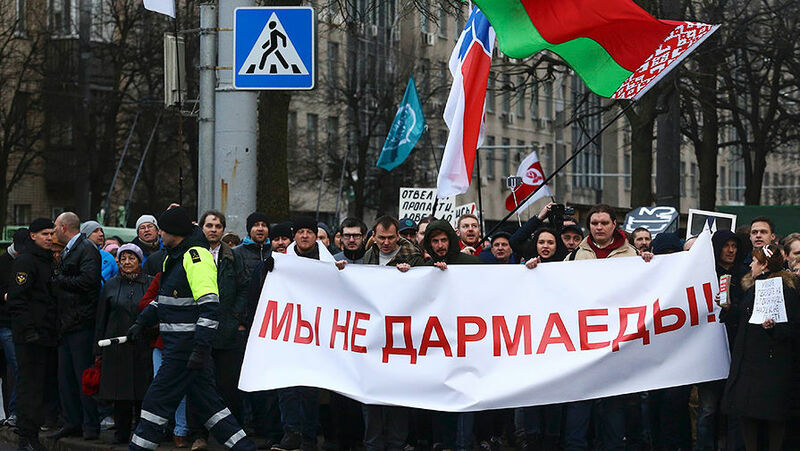 Status quo and conservative policy principles continue to have the upper hand in Belarus. Despite the March protest against the so-called social parasite tax, the opposition remains fragmented. It was unable to utilise the general dissatisfaction caused by several years of recession to increase its popular base. Meanwhile the role of private sector has been constantly growing. Despite lack of structural reforms, Belarus managed to climb to 37th place in the Doing Business Survey. But the potential of the current recovery is limited. To meet its ambitious modernisation goals, Minsk will need external financing. This leads back to structural reforms. Belarus assistance to regulate the Donbas conflict has been welcomed. Nevertheless, future dynamics of the relations with the West will mostly remain conditional around human rights issues. During Zapad 2017 Minsk will aim to meet two objectives simultaneously: to continue building trust with the West, while continuing to closely cooperate and appease Russia. Minsk thinks it has no other realistic geopolitical choice. 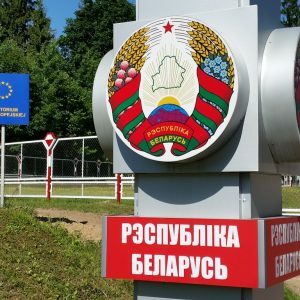 Relations between the European Union and Belarus are driven by the “only possible policy” within the framework of domestic factors and region’s geopolitics. Brussels’ critical engagement has created opportunities for Minsk to change attitudes by raising sensitive issues hoping that it will lead to policy (legislation) change in human rights, political freedoms and rule of law in the longer run. Belarus’s gradual opening towards the West is a careful balancing act; performed while keeping an eye on Minsk’s interest of strategic engagement with Russia. Minsk’s expectation is that the West would accept its current form of government, allowing Belarus greater room for (economic) maneuvering. In the context of Ukraine crisis, neither Minsk nor Brussels wants a U-turn. was released in 2016, similarly in 2017. Total indicative amount of assistance for 2014-2017 is EUR 89 million. The EU-Belarus relations were shaken by the protests against the so-called social parasite tax and the crackdown on peaceful protesters. Although the police intervention was brutal, all those detained were released, the last one before the OSCE Parliamentary Assembly held in Minsk in July 2017. The EU’s red line towards Minsk – no political prisoners1 – has not been crossed. Compare to 2010 post elections crackdown, Minsk (through the Ministry of Foreign Affairs) has kept a constant dialogue with the EU, including addressing human rights concerns. Direct European engagement with Belarusian law enforcement structures may have also played a role. At the very least, Belarusian officials’ willingness to listen to European human rights-related concerns was cited as a positive change by European diplomats. 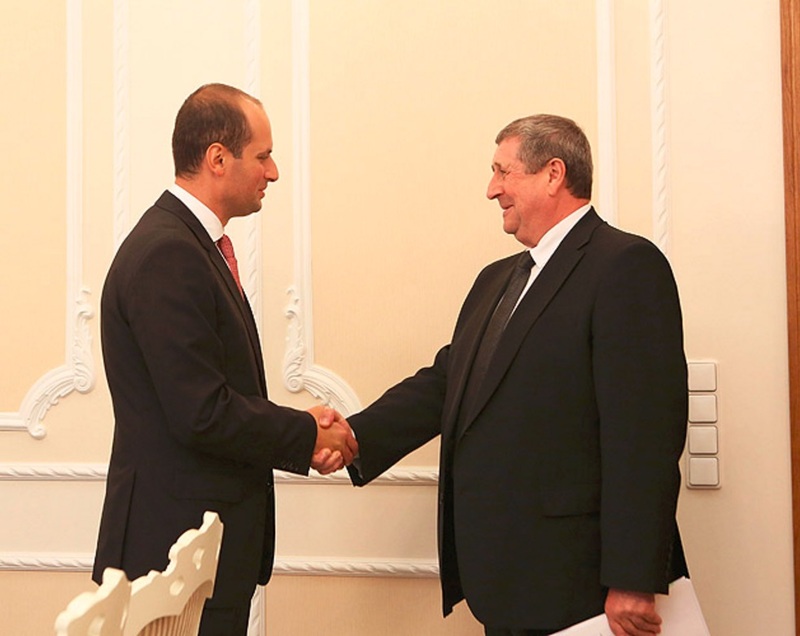 Increased contacts level between Western institutions and the Government of Belarus. Visa free regime by Belarus (up to five days). Arms embargo and restrictions to some individuals extended by the EC. Three rounds of EU – Belarus human rights dialogue. Widening sectoral dialogue between European institutions and the Government of Belarus. EU-Belarus Coordination Group set up. Negotiations on visa facilitation and readmission agreements continue. Education efforts for state officials. Improved state-civil society relations, ‘Tell the Truth’ political movement registered. The so-called ‘social parasite tax’, requiring unemployed citizens (around 470,000 citizens) to pay EUR 230 annual tax triggered protests across the country. Although the number of protesters was not high, up to 3,000 people demonstrated in Minsk on 17 February 2017. Despite Lukashenka suspending the law, protests continued to spread to various cities through March. Grassroots opposition activists were the core organisers in the regions. The protests also tapped into a general dissatisfaction with the economy, frustration about the decree as well as the government’s handling of the issue. Protests in February and March may have also been used by the government to show strength and determination (at home, vis-à-vis the West and Russia) to counter ‘hybrid’ threats and not allowing a Ukraine-type of conflict to arise. Criminal charges against the so-called White Legion, which were later dropped, at least suggested such a consideration from the law enforcement agencies. One of the participants pointed out that looking from a historical perspective, the March demonstrations attracted several thousand people, in contrast to the 100,000 people who protested against economic and social decline in early 1990s. Election-related protests called by the opposition and civil society actors in 2006 and 2010 brought up to 30,000 to the streets. The government is also capitalising on infightings among opposition leaders. Belarus’s opposition has never been a cohesive unit. Long ranging Western expectations about unified opposition fractions challenging the Lukashenka regime has created a certain ‘political show’. Opposition leaders are willing to play the unity card before elections to gain Western support, but the underlining differences between the parties and the competition among their leaders to become the main opposition challenger during elections always trumped over cooperation. In addition, civil society organisations no longer have ‘regime change’ as a key purpose, and their relations with the opposition have note been much of a priority. Similarly, there are multiple interests and disputes within the government. These include reformers and law enforcement (or siloviki) tug of war, wherein the lines of interests are often blurred. The current conflict within the government is between the new generation of lawmakers and the ‘conservative elements’. The president needs to demonstrate decisive actions: the crackdown on peaceful protesters was not dictated by an obvious risk, but he needed to show he was in charge. Incentives for political reforms are still weaker than old (policy) stereotypes. Priority is to fill state coffers, and one of the ways to do so is by harassing large local businesses companies and businessmen. Reformers within the government are few and far between, dependence on Russia remains a limitation in considering reforms. Although Moscow is bailing Belarus out on a much lower scale, it is enough to keep its structural dependence. Radical forms of protests from opposition, or the fabrication of those, also help maintain the status quo, siloviki’s influence and a conservative policy line. Reformers face a lack of legitimacy and lack of financing (both internal and external), which are main obstacles in their efforts. As the failed negotiations with the IMF suggested, reformers have to work hard to convince the conservative institutions, while in the end the president makes the final call about key steps. Key factors behind the current recovery are non-energy related exports increasing by 10%–20% YOY in real terms due to real depreciation of Belarusian ruble, Russia’s economic recovery, and gradual recovery of domestic consumption and investment. Export of potash is growing, and exports of oil refinery products are about to recover due to the resolution of the recent energy conflict between Belarus and Russia. 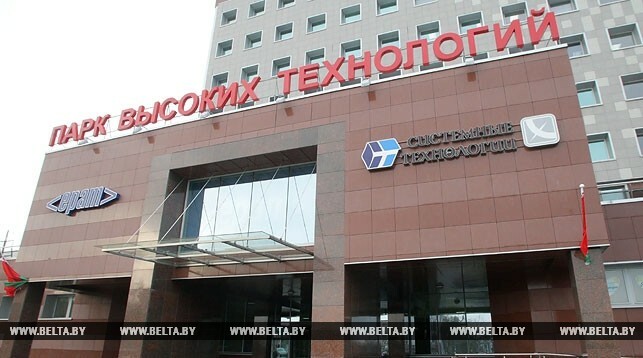 enterprises and an ambition to make Belarus an IT country. Authorities succeeded in stabilising the exchange rate (National Bank) and achieving fiscal consolidation (Ministry of Finance). As a result, inflation and interest rates have gone down, and Belarus managed to close its external financial gap due to a new loan from Russia and a drawdown of deposits. Savings declined by almost $1bn in the last 18 months, standing at $6,8bn – the lowest since 2013. The share of the private sector in the Belarusian economy increased considerably in the last ten years. The share of employment at enterprises with 100% state ownership fell from 51.2% in 2006 to 40.2% in 2016, but market capitalisation remains low. Total number of traded domestic companies in 2016 in Belarus was 194 with total capitalisation of $5.3bln or 11.2% of the country’s GDP. Out of this, 57% was generated by Belarusbank (the largest state-owned bank). As domestic savings are historically smaller than investments, external funding is of key importance. However, the volume of FDI has been at $1.3-1.5bn per year (mainly in the form of reinvested earnings) without significant changes in recent years, while at least three times more would be needed for economic development. The IMF can “easily” reach a common ground regarding economic reforms with the government, but it has been difficult to reach the final agreement with the president. Main IMF requirements are state enterprise re-structuring and increasing utility bills. The Eurasian Development Bank’s requirement of reforms in the state sector, including privatisation, is not applied consistently. Belarus’s neighbors are getting anxious when their largest neighbor flexes its muscles. In reality though, military exercises – at least from 1981- have been about Moscow (previously the USSR) establishing ‘coercive credibility’ with the United States. In some analysts view this strategy is effective due to ‘help’ of the alarmist voices coming from neighbors and amplified by Western military institutions and media. A deeper look at the issues around Zapad-2017 military exercise does not match the concerns. The Suwalki gap is a hypothesis for a case of a full-scale war given that Russia has an enclave in Kaliningrad. An invitation for 80 international military observers is an attempt to ease the geopolitical tension in the region, a policy that Minsk has been pursuing since the Ukrainian crisis. The high number of rail transport wagons, which has been the original cause of concern, has been explained as including all military transport between the two countries for the entire year of 2017. These numbers are not particularly high compared to 2009 or 2013 exercises. Russia is not bringing offensive (modern) equipment; what an invasion would require. Western estimates are up to 100,000 soldiers. The difference may come from Western observers counting the National Guard and other paramilitary forces as well as forces that belong to Russia’s Western Military District (not participating directly, but being on alert). Either way, no evidence to support such high estimate has been made public. Concerns have been voiced that in the past military exercise led to the invasion of Georgia in 2008 and of Ukraine in 2014. 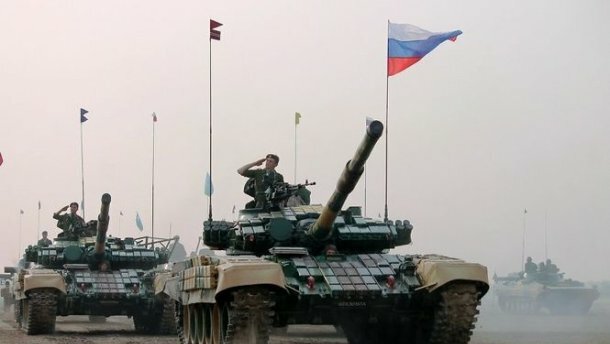 At the same time Kavkaz 2008, the exercise held just before the Russia-Georgia war, showed that any ‘surprise attack’ would come only after the exercise, utilising the West’s notoriously short attention span. As the Polish OSW’s analysis suggested, Zapad-2017 is at ‘the core of the information war between Russia and NATO’. Some think Russia’s goal to show a ‘larger-than-life military power’ has been achieved, with some help from the West. What increasingly matters for Belarus’ Western neighbours is that after the Ukrainian crisis, Minsk has not entertained the idea of joining NATO or the EU. Instead, the Government of Belarus pursued a policy of integration with Russia. Belarus is a not an integrated part of Russia’s military security, but Moscow’s objective is to make the two militaries as close as possible. For example, using Zapad-2017 Russia is likely to use aircraft deployments close to its neighbours’ airspace. Russia does not need to occupy Belarus as long as Minsk honours, at least rhetorically, its obligations. Occupying Belarus would bring the Eurasian Union to an end, and would keep increased level of Western sanctions on Russia indefinitely. Belarus has maintained a degree of independence from Russia regarding the Ukraine crisis. The recently updated military doctrine of Belarus includes hybrid warfare among military threats, while ‘the plural wording clearly indicates that Minsk is also concerned about Russia’s growing military might, and not only about NATO’. Lukashenka has gained leverage by establishing himself as Russia’s most loyal partner, utilising it mainly in form of ‘forced’ subsidies. But the time of high level Russian subsidies is over. Minsk will try further building trust with the West, and continuing to work with and appease Russia, as its only ally. The pdf version of this non-paper is available here. The 7th Belarus Reality Check took place on 21 June 2017 in Vilnius, Lithuania. Organised by the Eastern Europe Studies Centre (EESC) with the support from the Ministry of Foreign Affairs of Lithuania, USAID through Pact and Forum Syd, and together with programmatic contributions from the Carnegie Endowment for International Peace, the event gathered leading Belarusian and international experts and practitioners to discuss the latest political, economic and security developments in Belarus and to provide evidence-based analysis and balanced policy advice. This non-paper is the result of the meeting and further research. Since 2012, the Eastern Partnership Reality Check meetings were held under Lithuanian and Latvian EU presidencies. Other non-papers about Belarus, Georgia, Moldova, Ukraine are available at EESC website.